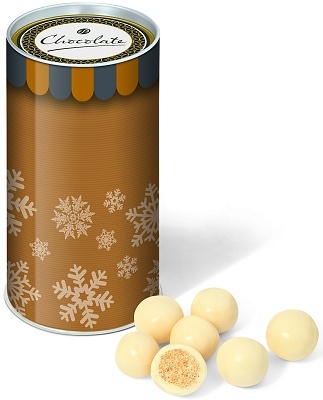 Guide: bulk chocolate malt balls prices. This Christmas Snack Tube is fully branded with your logo with a 212 x 131.5mm printed wrap around the tube and the 61mm diameter dome label on the lid. 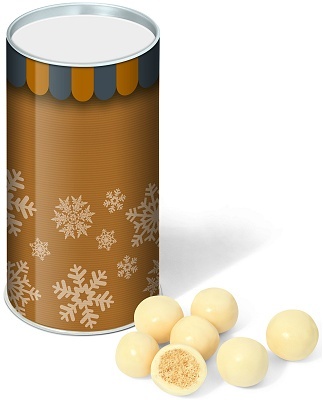 Filled with 100g of white chocolate malt balls.